This excellent range of 1/8", laser cut, acrylic templates by Marti Michell combines the efficiency and speed of rotary cutting strips with rotary cutting templates. Cut multiple layers at a time for piecing by hand or machine. We recommend these templates above all others because of the double-blunt corners - they make all the difference! For example, to make this square-in-square design (right) four triangles must be sewn to the sides of the centre square. With fabrics cut from ordinary templates (left) there is no obvious line for the seam allowance and it is not easy to keep the triangle central to the square. The result - imperfect points and blocks that don’t align. 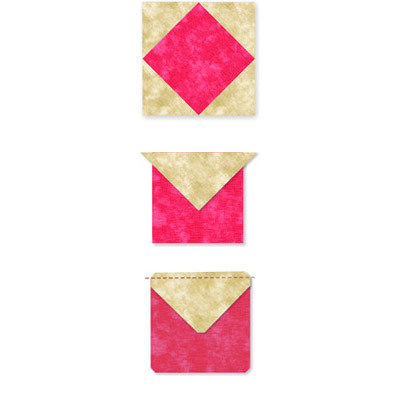 With Perfect Patchwork Templates the corners are cut away so that the pieces can be aligned exactly. The start and finish of the seam allowance is at the point where the corners are cut. The result? Perfect seams, perfect points - Perfect Patchwork! 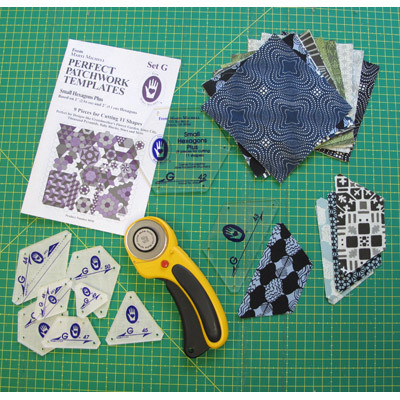 Each set of Perfect Patchwork Templates includes an instruction leaflet. Marti Michell has also produced the Encyclopedia of Patchwork Blocks in four volumes. These books are full of tips and ideas for blocks and variations and quilt layouts. As a way of unleashing the full potential of these templates, these books come highly recommended. 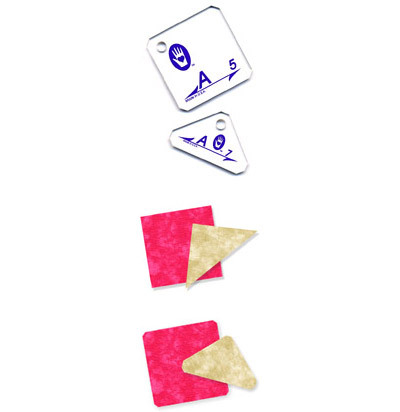 The Perfect Patchwork Templates are available in the shop and please ask for a demonstration.